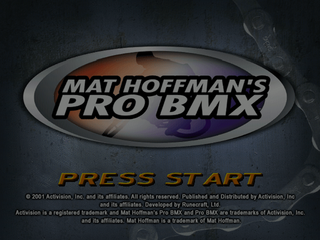 Mat Hoffman's Pro BMX is the BMX equivalent of Tony Hawk's Pro Skater. It was released for the Sega Dreamcast in 2001. The Dreamcast version was exclusive to North America. Main article: Mat Hoffman's Pro BMX/Magazine articles.